I bought this at Nordstrom Rack for under $40 (original price $95). I've wanted this for sometime now. I've had my eye on a few different colors, but I just never bought myself one. 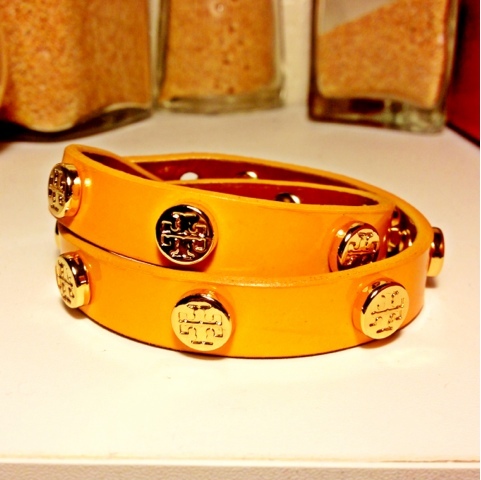 This Tory Burch leather bracelet is perfect for stacking. I love the mustard yellow with the gold logos! I'm in LOVE!! !